PUTRAJAYA, April 22 (Bernama) -- The 3rd Putrajaya Deuter Trail Run scheduled for May 10 received overwhelming response from local and foreign participants. 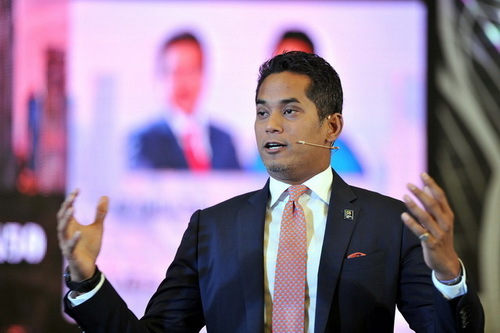 KUALA LUMPUR, April 22 ( Bernama) -- Social media practitioners should be genuine, inclusive and credible in spreading information, said Youth and Sports Minister, Khairy Jamaluddin Abu Bakar. KUALA LUMPUR, April 21 (Bernama) -- The Walt Disney Co is accepting applications for its second Disney Accelerator programme powered by Techstars, within the region including Malaysia. KUALA LUMPUR, April 21 (Bernama) -- The manufacturing industry still leads the job market in terms of number of job postings, followed by banking and financial services, says online recruitment company Jobstreet.com. KUALA LUMPUR, April 21 (Bernama) -- The Multimedia Development Corp (MDeC) aims to make Malaysia a Big Data Analytics hub in ASEAN by 2020. KUALA LUMPUR, April 20 (Bernama) -- An exhibition on the growth and fascinating history of Indian cinema over the years will be held on April 25, in conjunction with the Festival of India 2015. By Azizul Ahmad KUALA LUMPUR, April 9 (Bernama) -- In its bid to woo more retail investors, Bursa Malaysia Bhd has embarked on another innovative initiative to build confidence among the public entering the equity market.